Contact us on info@rpspartnership.com if you are going to South Sudan as we are running a Hostile Environment Training course 12-14 February 2018. A foreign journalist was Tuesday roughed up by an angry mob as she covered a demonstration against the American arms embargo in Juba. The demonstration was organised by various youth groups, including the Sudan People Liberation Movement (SPLM) Youth League. 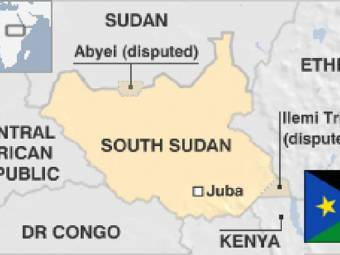 The incident happened at the UN mission main camp near the Juba International Airport. A local journalist who witnessed the incident said the irate youths seemed to be angry at mostly foreign nationals. The mob also beat up Julius Gale, a local journalist working for the Juba-based radio Bakhita. Mr Gale was also covering the demonstration against the US arms embargo. The South Sudan government has yet to issue a statement on the incident. The US last Friday announced a ban on arms sale to South Sudan, saying the continuing violence, which has created one of Africa’s worst humanitarian crises, showed no signs of ending. It also said both the government and rebels were heavily spending on military than on peace and development. Juba reacted angrily to the US action and summoned its ambassador to Washington, Garang Diing Akuong, back home. Human Rights Watch welcomed the US arms ban, saying it would send a strong signal to the South Sudan leaders that abuses and broken promises would not be tolerated. Contact us for more information on travel to South Sudan on info@rpspartnership.com and speak to one of our consultants who has just come back from Juba.